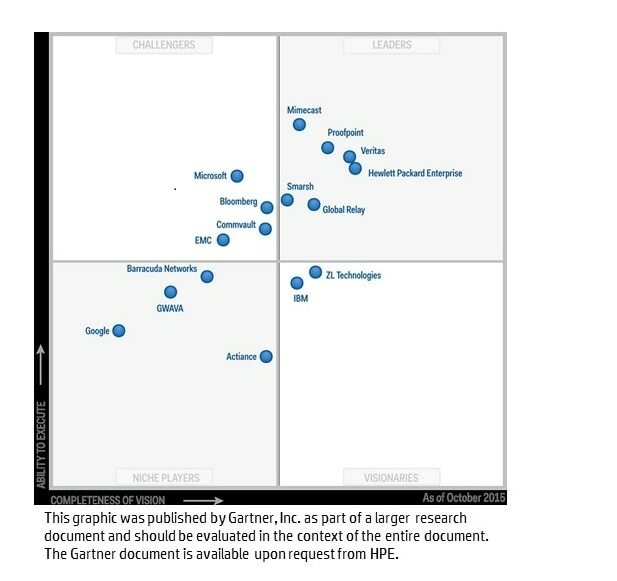 Gartner: 2015 Magic Quadrant for Enterprise Information Archiving | Instead S.r.l. Enterprise information archiving lets you proactively manage your information for compliance, risk, and discovery, while optimizing costs and efficiency. In this Magic Quadrant, Gartner evaluates vendors offering products and services that provide archiving for email, social media, files, and other content types. Learn why HPE is a Leader positioned furthest to the right in Completeness of Vision.